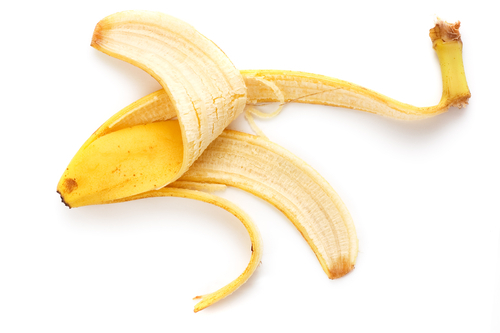 don't get caught: your branding challenge...or banana peel? - Don't get too complicated. The final contestant chooses 4-6 props, crafts a long sentence with alliteration, special terminology and a pointed philosophy--and it gets lost in all the clutter. - Be enthusiastic, but keep it short. Early attempts in this challenge gave their short viewpoint, then embellished it. Omit the extras--stick to your point. - Choose a great visual. We loved the Indian chef who chose a super-large ginger root as her prop, and summarized her take on cooking in a short, spicy sentence. Can you sum up your purpose, mission or message briefly--and show it with a compelling visual or prop? If not, contact me about help with developing your message.